Looking for the way to tell your friends how much they mean to you? 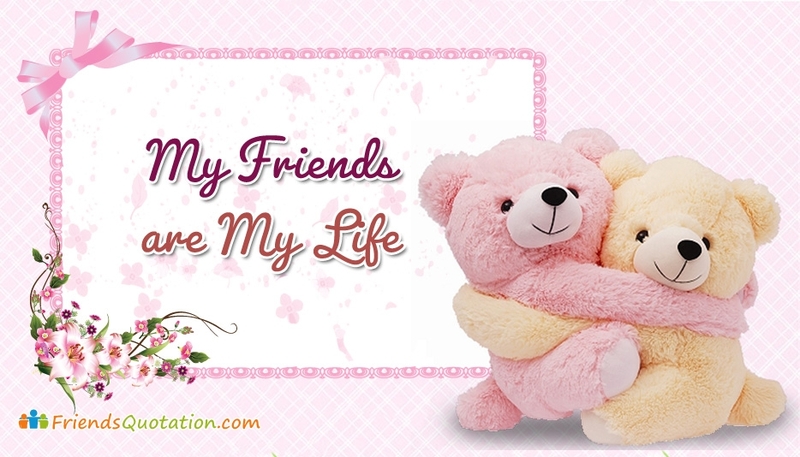 Here is a perfect card with a heart touching message "My friends are my life". Not only love, its always important to nourish and appreciate the true friendship. Share this image on your facebook wall, twitter feed, and with whatsapp groups to let your friends know how much you value them.